BEIJING (Reuters) – Chinese President Xi Jinping offered warm words for U.S. President Donald Trump on Saturday, calling him a friend and saying he expected Trump’s visit to China in November would be “wonderful”. China’s relationship with the United States has been strained by the Trump administration’s criticism of Chinese trade practices and by demands that Beijing do more to pressure North Korea to halt its nuclear weapons and missiles programs. Xi and Trump met for the first time in person at Trump’s Mar-a-Lago estate in Florida in April. Trump has since played up his personal relationship with Xi, even when criticizing China over North Korea and trade. 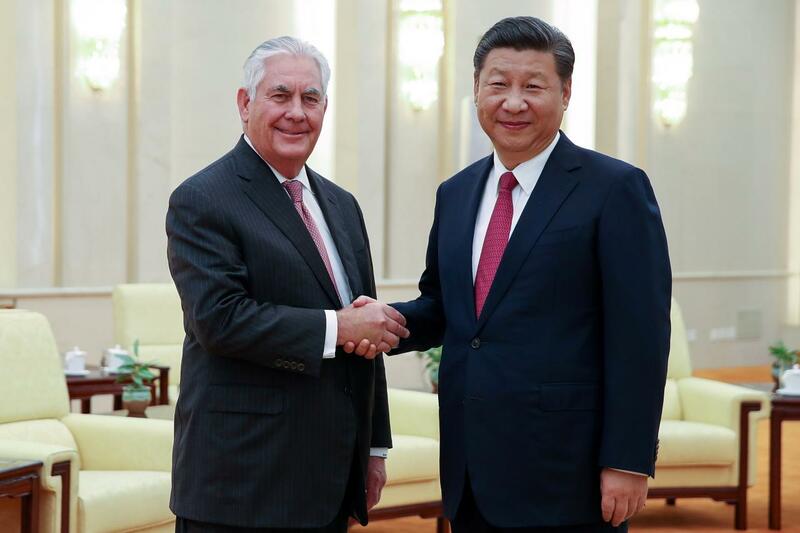 Meeting U.S. Secretary of State Rex Tillerson at Beijing’s Great Hall of the People, Xi said he had enjoyed his meetings with Trump and that the two had made considerable efforts to push the development of China-US relations. “The two of us have also maintained a good working relationship and personal friendship,” Xi said, in comments in front of reporters. In comments later reported by China’s Foreign Ministry, Xi added that cooperation was the only correct choice for both countries, whose common interests far outweighed their differences. Both countries must “on the basis of respecting each other’s core interests and important concerns appropriately handle, via dialogue and consultations, differences and sensitive issues”, the statement cited Xi as saying. “This is a relationship that continues to grow and mature on the strength of the relationship between yourself and President Trump. And we look forward to advancing that relationship at the upcoming summit,” he said. There was no mention of North Korea in comments made in front of journalists at any of Tillerson’s meetings, which also included top diplomat State Councillor Yang Jiechi and Foreign Minister Wang Yi. China’s Foreign Ministry, in separate statements on Tillerson’s meetings with Yang and WanWang, simply said they exchanged views on the situation on the Korean peninsula, without elaborating. 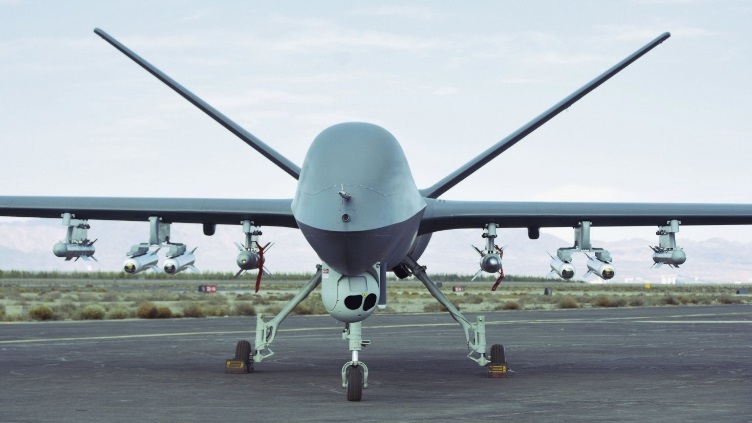 China Aerospace Science and Technology Corporation (CASC) has successfully integrated and launched a new precision guided missile (PGM) on its Cai Hong 5 (Rainbow 5, or CH-5) strike-capable, medium-altitude long-endurance unmanned aerial vehicle (MALE UAV), Jane’s sources have confirmed. The latest test was staged out of an undisclosed airport in the northwestern province of Gansu during the morning of 21 September, with CASC engineers successfully deploying a new 80 kg-class PGM – carrying a blast fragmentation warhead – via lock-on before launch (LOBL) targeting protocols from a production-model CH-5 at a launch altitude of 11,482 ft.
Further details of the new PGM were not disclosed, although it is understood that the latest effort also enabled engineers to further test and fine-tune the CH-5’s electro-optical/infrared (EO/IR) payload as well as its weapons targeting and rail-mounted payload release mechanisms. “We demonstrated the CH-5’s ability to win the initiative in any battlefield with its reconnaissance and strike ability, and our latest success exemplifies the maturity of our advanced products,” a company spokesperson told Jane’s . 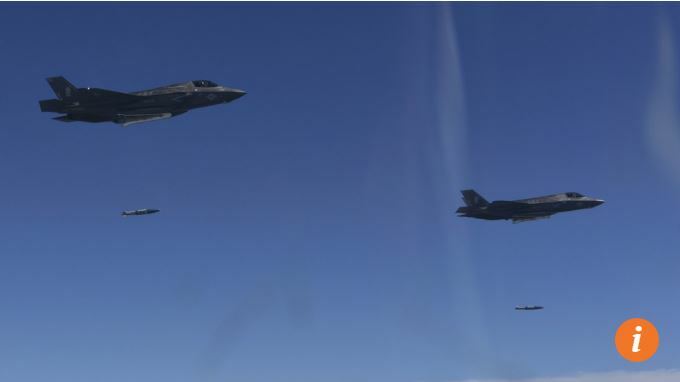 Company sources also revealed to Jane’s that the 45 kg-class AR-1 semi-active laser (SAL) anti-armour missile was successfully integrated and certified for delivery aboard the CH-5 in August. Mil.huanqiu.com says in its report on September 28 that Chinese Defense Ministry spokesman Wu Qian said in reply to a reporter’s question at the Ministry’s press conference that J-20 has already been formally commissioned in the military and that follow-up test flights are being carried out. China’s mil.huanqiu.com says in its report “Philippines promotes Philippine-China joint exploitation in the South China Sea: Draft Contract has been submitted to Philippine President” yesterday that Philippines’ ABS-CBN news website says in its report on September 28 that Philippine government is promoting a win-win scheme with other South China Sea claimants to jointly explore oil and gas in disputed waters. In addition “Philippine Star” reported on the same day that Philippine side’s draft contract on joint exploration of the oil and gas resources in Palawan has been submitted to President Duterte for examination and approval. The exploration will be conducted by a joint venture between China, the Philippines and Malaysia in an area to the northwest of Palawan. 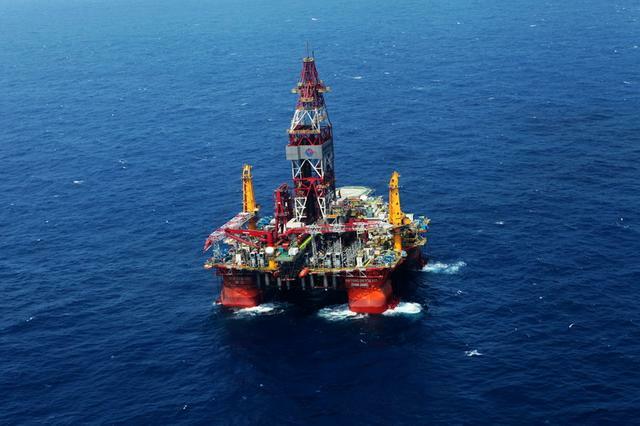 The disputes among China, the Philippines, Malaysia, Vietnam and Brunei in the South China Sea are mainly over the oil and gas resourced there, the above-mentioned model of win-win cooperation among China, the Philippines and Malaysia will set an example for the peaceful solution of the disputes. As a result, countries outside the region will have no excuse to interfere with the disputes. That is China’s victory as China has all along advocated putting aside the dispute to jointly exploit the resources. Philippine ex-president Aquino wanted to exploit the resources alone. Instigated by the US, he started and won an arbitration but got nothing as the US does not want to fight a war with China to impose the arbitration award. Seeing that China is capable of exploiting all the resources while the Philippines can get nothing if it is so greedy as to get the resources alone, Aquino’s successor is wise to cooperate with China and other claimants to exploit the resources jointly. Comment by Chan Kai Yee on mil.huanqiu.com’s report, summary translation of which is provided here. Full text of the report in Chinese can be viewed at http://mil.huanqiu.com/world/2017-09/11295927.html. BEIJING (Reuters) – China’s foreign minister on Thursday said that ties with Japan should not take two steps back for every step forward, after Japanese Prime Minister Shinzo Abe made a rare appearance at an anniversary event for the normalization of diplomatic relations. Speaking on the eve of the 45th anniversary of the resumption of ties between Beijing and Tokyo, Foreign Minister Wang Yi told Japan’s ambassador to China, Yutaka Yokoi, that he hoped for greater improvement in relations. “We hope that the Japanese government can pursue a more positive policy towards China… and not take one step back for each step forward, even two steps back for each step forward,” Wang said, according to a statement released on the ministry website on Friday. Relations have been complicated for decades by the legacy of Japan’s wartime aggression, as well as by a festering territorial dispute in the East China Sea. Abe on Thursday evening made an appearance at a Chinese embassy event in Tokyo that jointly celebrated the anniversary as well as China’s Oct 1 National Day. Chinese Premier Li Keqiang and Abe also exchanged congratulatory messages on Friday, in which Li said that the two countries should “properly manage and control their contradictions and differences”, China’s official Xinhua news agency reported. Japan’s cabinet on Thursday announced Oct. 22 as the date of a snap election where Abe, a conservative who returned to power in 2012, hopes a recent boost in voter support will help his Liberal Democratic Party-led coalition maintain a simple majority. It now holds a two-thirds “super” majority. The device is bulky and heavy to be installed on a satellite or airplane, but efforts are being made to reduce its size and weight. China has developed some radars to detect stealth warplanes but there is doubt whether the radars really work. Experts are sure terahertz radars can do the job but it takes time to develop usable devices. 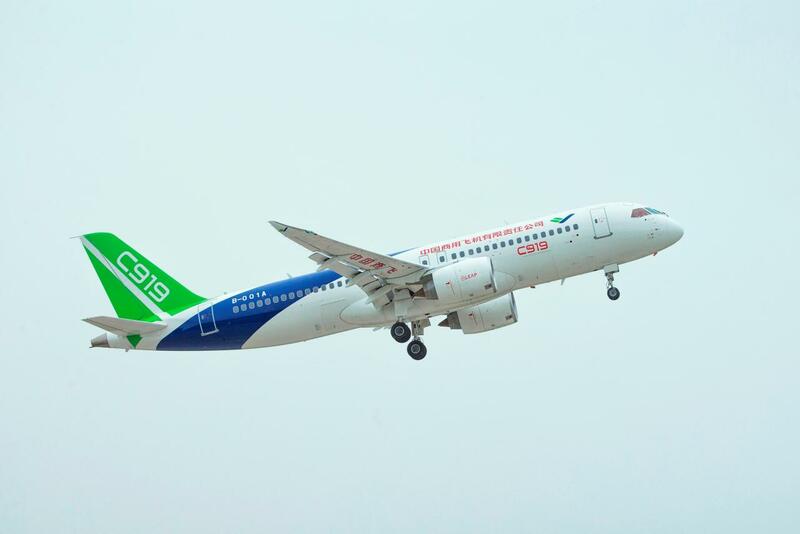 SHANGHAI (Reuters) – China’s domestically developed C919 passenger jet completed its second test flight on Thursday, the jet’s maker said, but the duration and near five-month gap since its first flight have raised questions over whether its latest delivery target can be met. The narrow-body C919, which will compete with Boeing Co’s (BA.N) 737 and the Airbus SE (AIR.PA) A320, is a symbol of China’s ambition to muscle into a global jet market estimated to be worth $2 trillion over the next 20 years. However, the program has faced lengthy delays and missed its original target of delivery to customers by 2016 – a date reportedly pushed back to 2020. Sales to date have been restricted largely to its home market because it has yet to be certified by regulators in the United States and Europe. Thursday’s flight was the second for the initial C919 test model, whose maiden flight was on May 5. The second of six planned test aircraft, which achieved power-on of its systems in July, has yet to fly. Commercial Aircraft Corp of China Ltd (COMAC) [CMAFC.UL] said the plane reached an altitude of 10,000 feet during a flight that took off from Shanghai’s Pudong Airport at 07:22 a.m. (2322 GMT) and landed at 10:08 a.m.
“Various elements of the test flight, including with the raising/lowering of the landing gear, were all completed smoothly,” COMAC said in a statement. The 166-minute flight time was more than double the maiden flight of 80 minutes, but 54 minutes shorter than plans detailed in an article published by state-backed news website ThePaper.cn earlier on Thursday. COMAC did not immediately reply to questions from Reuters on whether the flight was shorter than planned. Bradley Perrett, a veteran China watcher and reporter at Aviation Week, said the five-month interval between the aircraft’s two flights was “extraordinary” and COMAC’s reported delivery target of 2020 appeared not to be firm. Mitsubishi Heavy Industry Industries Ltd’s (7011.T), Mitsubishi Regional Jet – Japan’s first passenger aircraft – took its second flight eight days after it first flew in 2015 while the gap between the first and second flight for the Airbus A350 was five days, Perrett said. Strongly backed by China’s government, COMAC has so far announced orders for 730 C919 planes from 27 customers, many of which are Chinese leasing companies. Though billed as homemade, the C919 relies on overseas technology from firms including General Electric Co (GE.N), France’s Safran SA (SAF.PA), Honeywell International Inc (HON.N) and United Technologies Corp (UTX.N). COMAC also said its ARJ21 regional jet was in the air at the same time as the C919 on Thursday, marking the first time two types of domestically made passenger jets have taken to China’s skies simultaneously.